WAY Alliance helps North Texas youth (ages 14-24) with foster care experience develop the relationship, resources, and skills they need to thrive in adulthood. 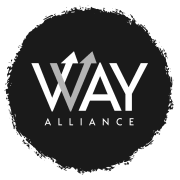 WAY Alliance was founded in 2018 and will launch programming in the spring of 2019. We are a mentoring-based organization that works with youth aging out of foster are in North Texas. Youth ages 14-24 are matched with a trained, supportive adult mentor who meets with them in the community on a regular basis. WAY Alliance Resource Coordinators assist youth in connecting with local resources for housing, education, and jobs. Volunteers also teach life skills and lead recreational activities for the youth we serve. Would you recommend WAY ALLIANCE?